February 13 – Concern is intensifying amongst campaign groups and human rights organisations over FIFA’s failure to resolve the ongoing dispute over Israeli lower-league clubs playing official games on settlements in the occupied West Bank. Following last month’s FIFA Council meeting, Gianni Infantino disclosed that “within one month” he expected a final report to be presented by FIFA’s chief Middle East mediator Tokyo Sexwale who would meet first with representatives from both sides. 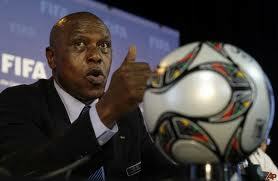 But a month on, there is no indication that Sexwale has met that deadline. Meanwhile the pro-Palestinian body red Card Israeli Racism questioned Infantino’s commitment to the cause. “Red Card Israeli Racism (RCIR) understands that, far from producing his report in time for today’s deadline, Mr Sexwale has not yet met with the two associations’ representatives and is unlikely to do so before late March,” said a statement. RCIR has now issued a letter of complaint to Infantino.